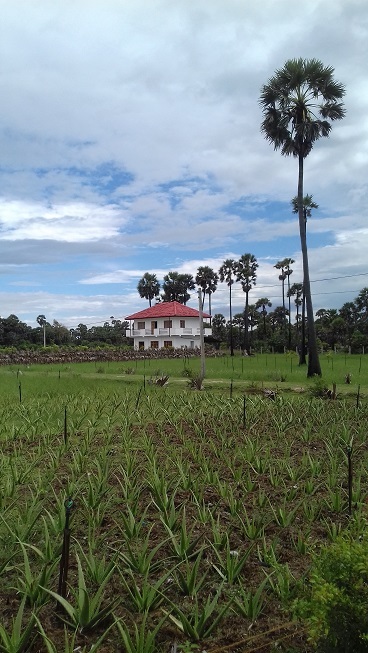 I write this piece as my appreciation of a Diasporan who came back to Jaffna and made a difference, sowing economic and medical seeds in the North. A friend who passed away in Colombo on 9th December 2018, and whose ashes were scattered in Jaffna four days later. I first met Ravi in 2015 at a glittering wedding in the Galle Face Hotel, Colombo. Tall and handsome, with a reassuring smile, firm handshake and mischievous sense of humour he was every bit the Consultant Heart Surgeon from Oxford. The gods had been generous when they constructed Dr. Ravi Pillai. And they were generous when they partnered him with his accomplished and beautiful wife Shanthi Jayawardene, a successful architect, historian and author. We had been introduced by a mutual friend who knew both Ravi and I were pursuing projects in Jaffna, in the North of Sri Lanka. I think they assumed we would be fellow fish-out-of-water in Jaffna, as we both have spent most of our lives overseas. Though with his respectable command of the Tamil language, so he told me as I can’t tell, perhaps he fitted in more easily than I. As I have known Ravi for not much more than 3 years, I will leave his history before I met him to others. From the time I knew him Ravi had his professional life in medicine and he had his hobby as a farmer. 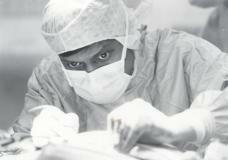 Ravi had created the Oxonian Heart Foundation to bring cardiac surgery to North and East Sri Lanka. He became the Medical Director of Jaffna’s North Central Hospital in 2013, setup the Cardiac Unit and he performed the first heart surgery here in July 2014. I doubt his years in Oxfordshire’s countryside whizzing past the green fields and the grazing livestock in his Porsche sports car would have given him great insights into the rural economy. And yet one of the things he did when he moved back to Jaffna was to find and buy 10 acres of sandy scrubby land with a sea frontage on Velanai Island. Ravi was a man who appreciated the simple things as well as the comforts of life. While there are thousands of acres of arable land within a two hour drive of Jaffna, Ravi’s land was just 10 minutes from the town. So after sweating away supervising the tilling of his land, and the construction of a substantial building, he could quickly go to refresh himself physically and spiritually in air-conditioned comfort. Ravi’s ambition was to develop a farm, which would be a pilot to create an industry that could spread and bring sustainable economic growth across the North. With the support of friends, some investing their money, others their knowledge, and yet others like me offering nothing more than simple friendship, Ravi planned to create an Aloe Vera processing industry. Ravi had linked this potentially profitable business with the approaching need to replace tobacco as a crop for small farmers. Government legislation would ban commercial tobacco farming from 2020. Aloe Vera, like cactus, is well suited to the Northern climate. Here the soil goes from arid sand to rich red earth. The rain comes for just a few months each year. The plants, once established, need little care. And the leaves produce a gel that is highly valued when sold in little bottles as drinks and cosmetics, but is worth not much as raw unprocessed leaves. Ravi’s plan as I understood is to encourage farmers to grow Aloe Vera using shoots his farm would produce. And to setup a processing plant that would render the gel such that it can be bottled and shipped at far higher prices than simply selling freshly cut aloe vera leaves. Thereby paying the farmers a better price, and encouraging further investment into the North. In little more than a year Ravi developed his 10 acres of sandy scrubby land. He built a substantial farmhouse which can be used for work as well as rest and relaxation. He cleared the land, installed various irrigation technologies, and sowed it with Aloe Vera as well as other fruit trees. None of this would have been possible without someone like Ravi’s farm manager, Priya. At first glance you see a petite young woman. But within minutes of speaking with her you will see the steel in her eyes, the strength in her voice, and her steadfast determination to make the project succeed. Ravi passed away on 9th December 2018. He had been unwell for awhile, and had returned to the UK for treatment a few months ago. I wonder if Ravi, being an accomplished doctor, knew what was going to happen, and chose Sri Lanka for his final days. I had heard that he was even planning to come back to Jaffna. Sadly that was not to be, though his close family brought his ashes to be scattered into the sea at Keeramalai Temple. In a life of over seven decades Ravi made a difference in several countries as a teacher and surgeon. 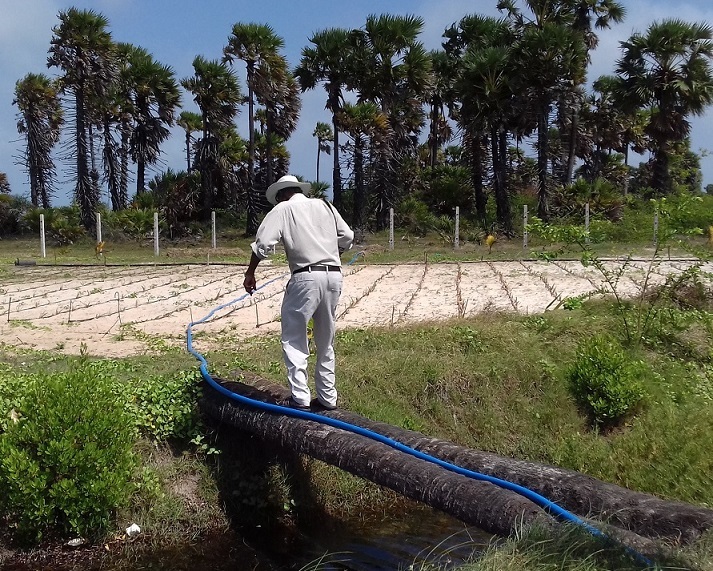 He decided to end his career emulating his ancestors, farming in Jaffna.